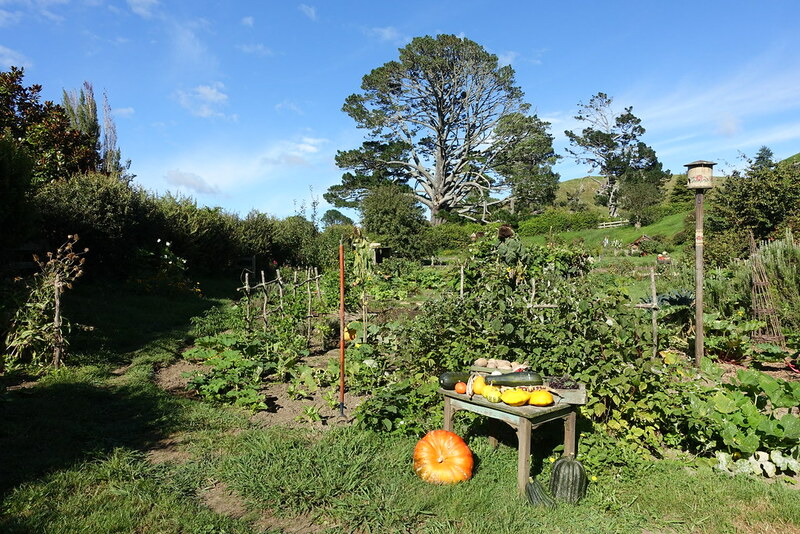 This is the sixth of a series of posts detailing mine and my sister’s trip to New Zealand’s North Island. View all the posts so far here. 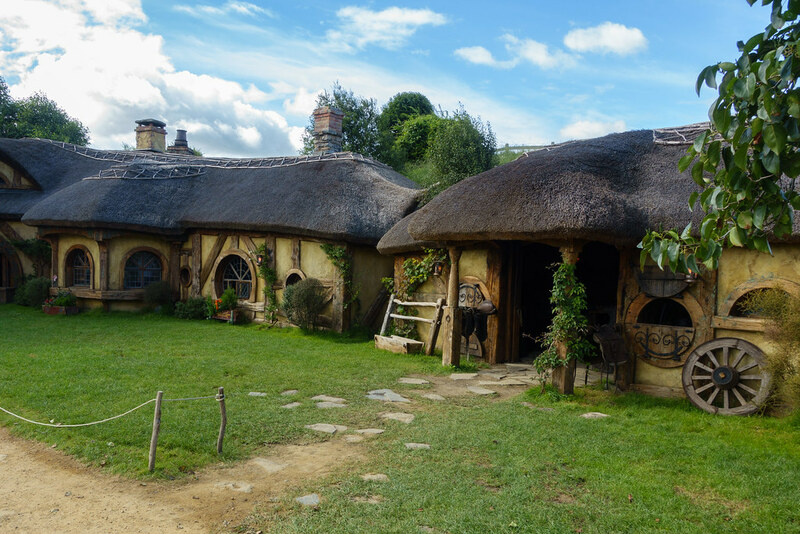 Although I’m not a Lord of the Rings fan, friends who’d been to New Zealand told me I had to go to Hobbiton: the film set for the village in which the fantasy’s ‘hobbit’ species live. 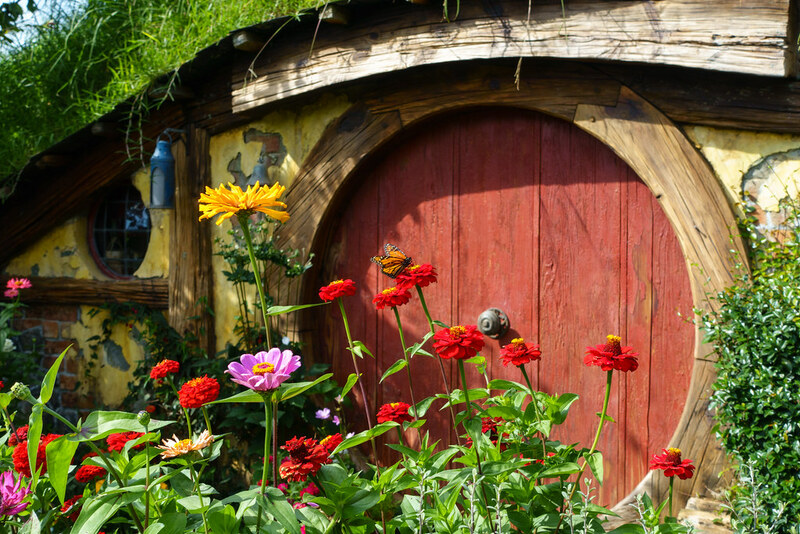 I’m glad I heeded their advice, as Hobbiton was not only interesting but also so beautifully and imaginatively created as to feel magical even to a non-fan. 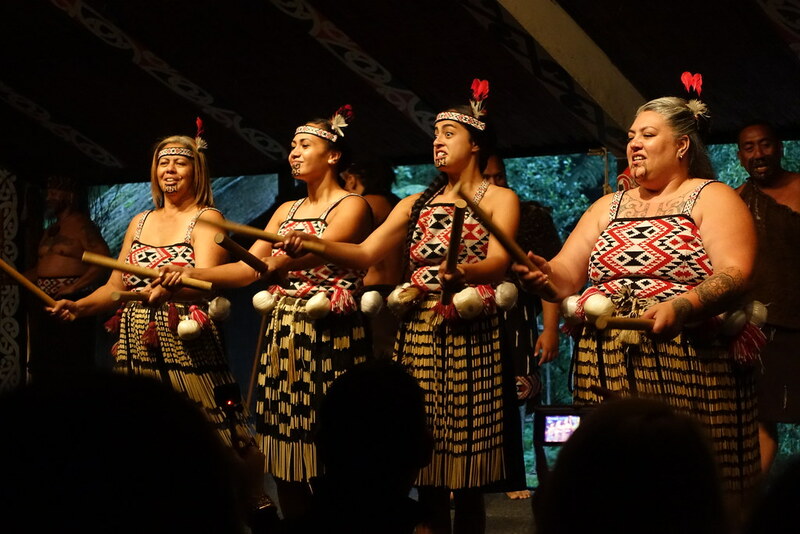 Our evening in the Tamaki Maori Village similarly transported us to another world, but one based on fact, not fiction. 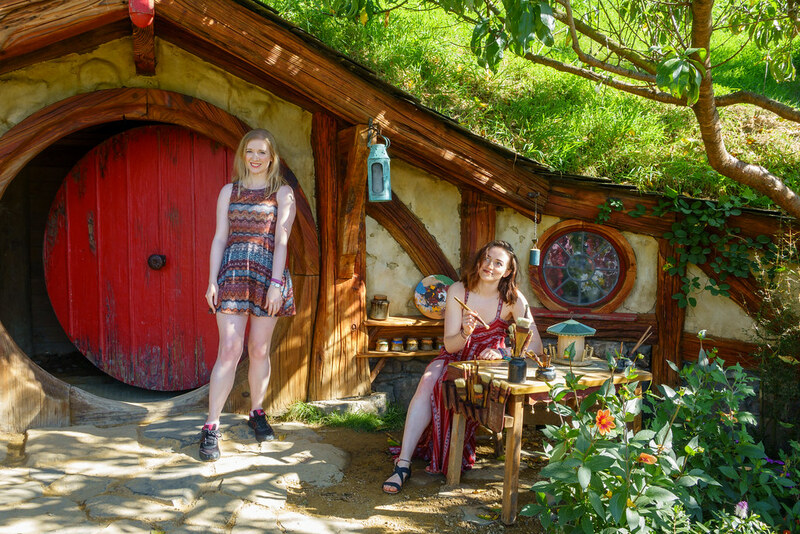 My sister Tama and I checked into Rotorua’s Hobbiton shop at 7.45am and the bus picked us up at 8. 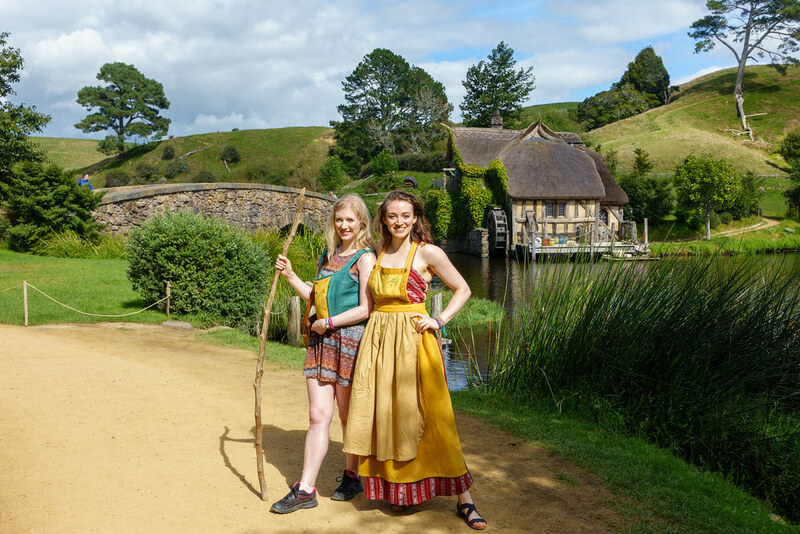 The journey was a treat in itself: the in-bus screens showed several behind-the-scenes videos filmed with the Lord of the Rings actors on set, and when these weren’t playing we were entranced by the blue skies and rolling green hills outside our windows. Our bus driver’s commentary was hilarious too! 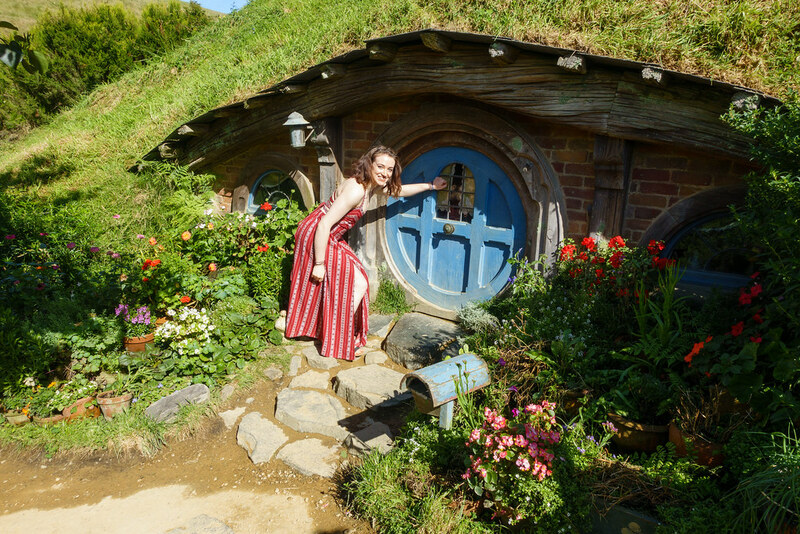 On arrival we were introduced to our guide for the Hobbiton tour. He was less engaging than our driver, but to be honest it didn’t matter much as he was our ticket into the set more than anything else! 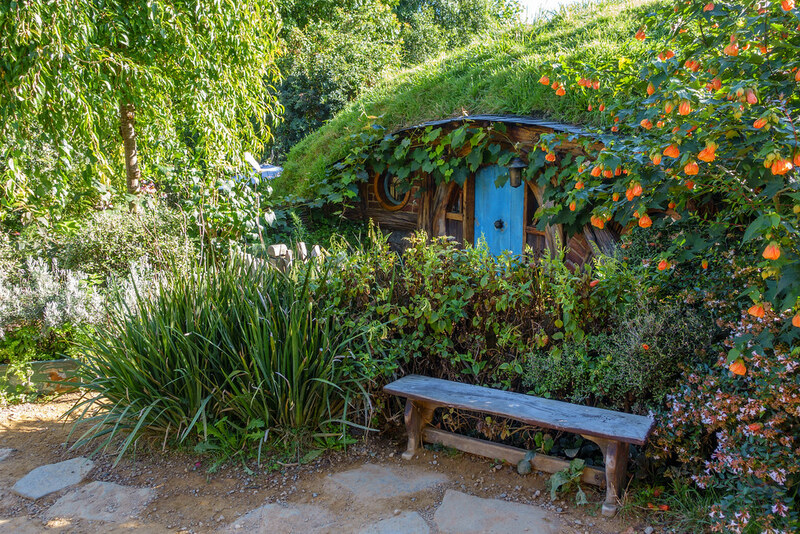 Entering the verdant valley and seeing all the hobbit houses, scattered near and far among the bumpy hills, was a breathtaking moment: it felt like we’d stumbled upon a fantasy world. 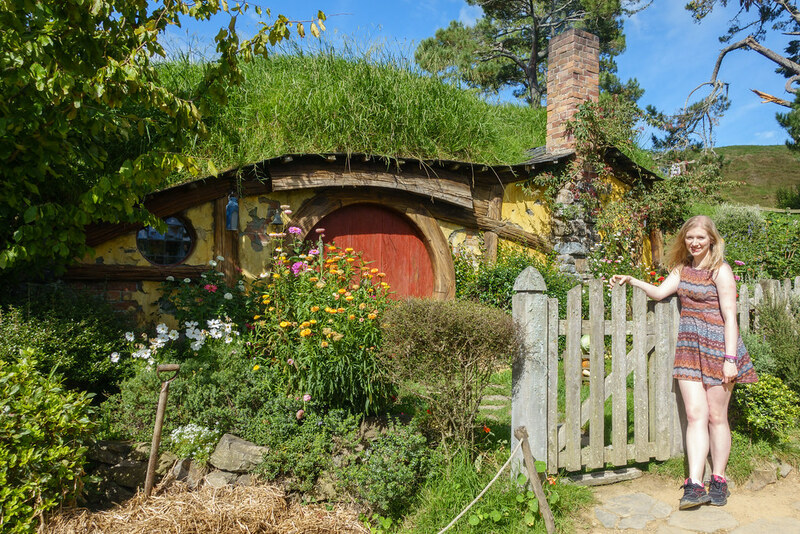 We had to stop a moment to take it all in before our guide began walking us from one area to the next. 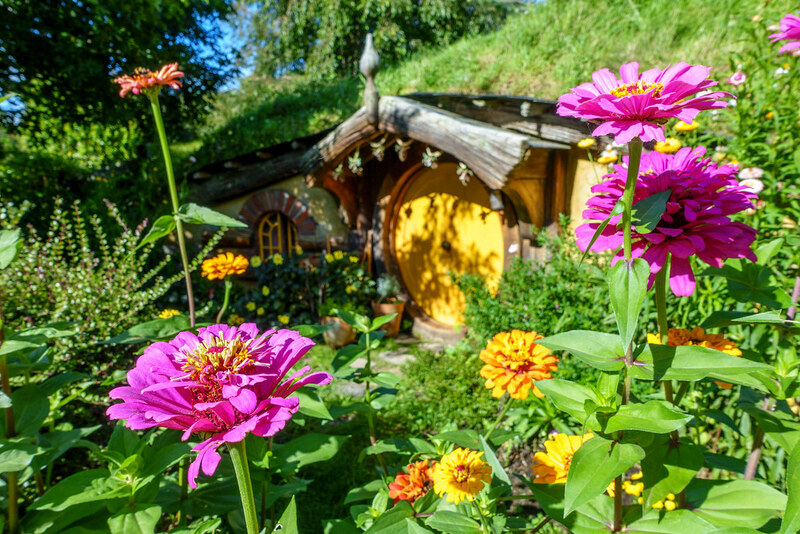 The miniature round-doored houses and the flowers and trees around them looked supremely beautiful in the sun. 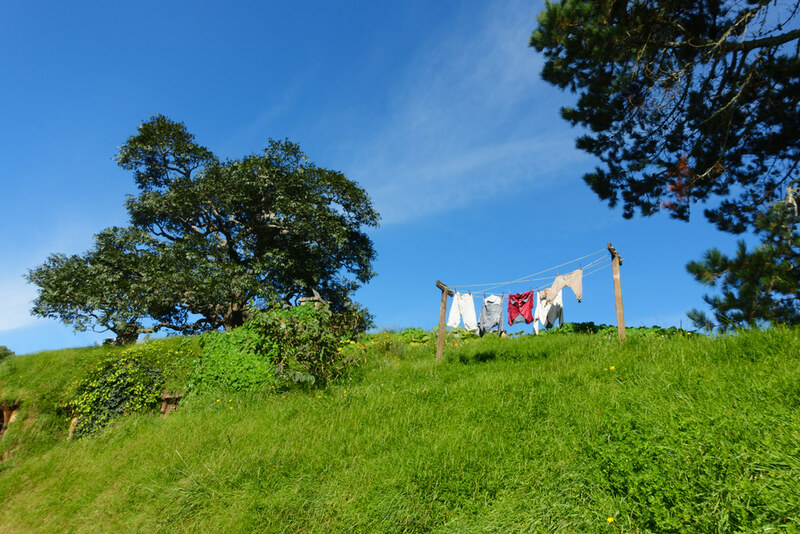 All the other little additions, from the vegetable gardens to the washing lines, are created so naturalistically that you could easily forget you were on a film set. 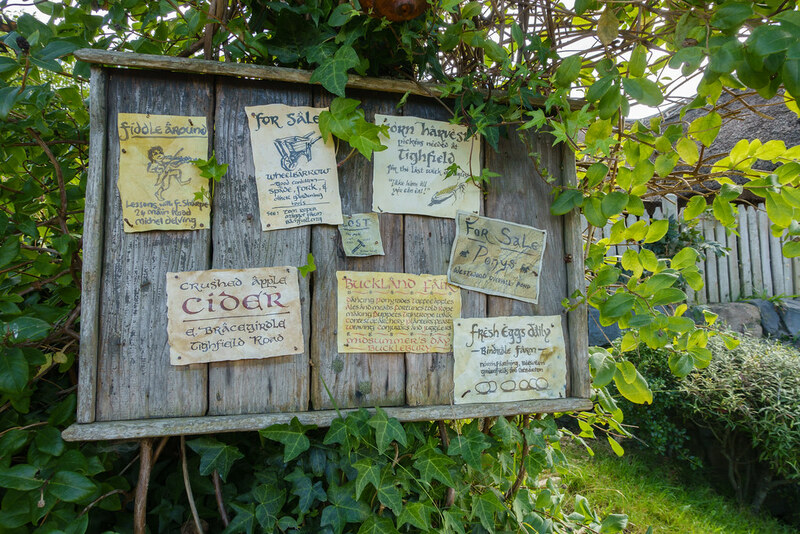 Many of the houses are designed with signs and props that communicate the imagined resident’s hobbies or trade, whether they’re a farmer, a blacksmith, or just really like fishing! And the attention to detail goes further than that. 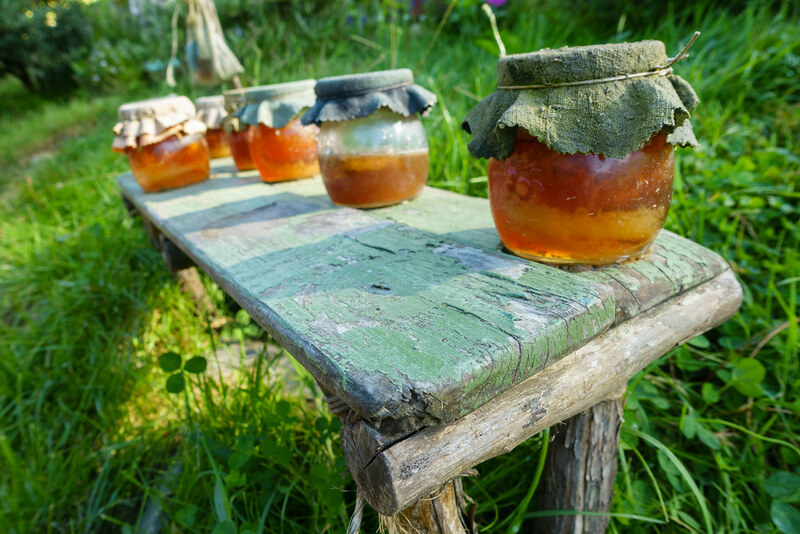 Our guide explained how the wood used to build the fences was painstakingly ‘aged’ in water, and painted with yoghurt to encourage moss growth. 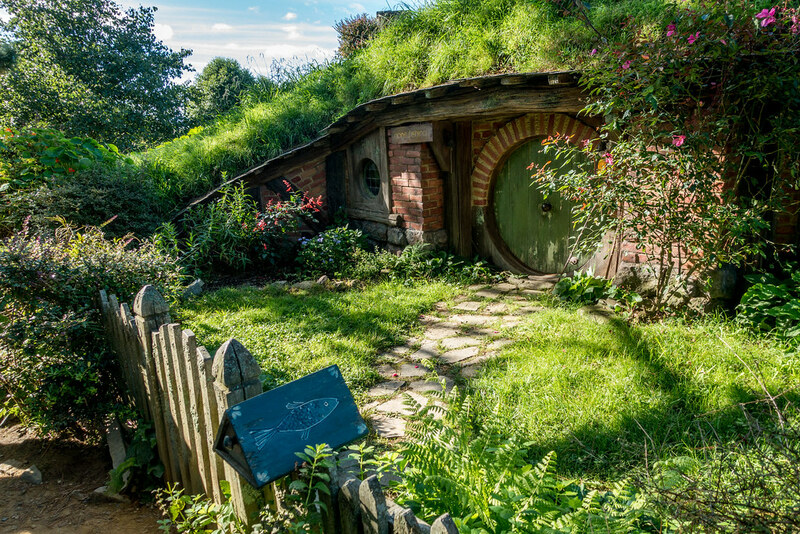 He also told how director Peter Jackson insisted on mixing artificial and real elements to create trees that had exactly the right look (this is something the average moviegoer would never notice). 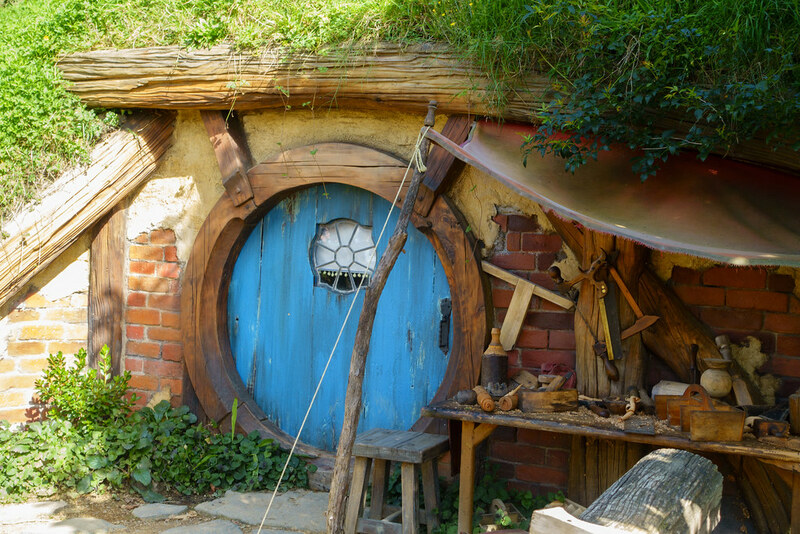 In addition to pointing out details, our guide explained tricks that were used during the filming such as how they made Gandalf the wizard appear so much larger than Frodo the hobbit. All of this was very interesting, but what everyone wanted most of all was photos to capture our trip to this magical place. 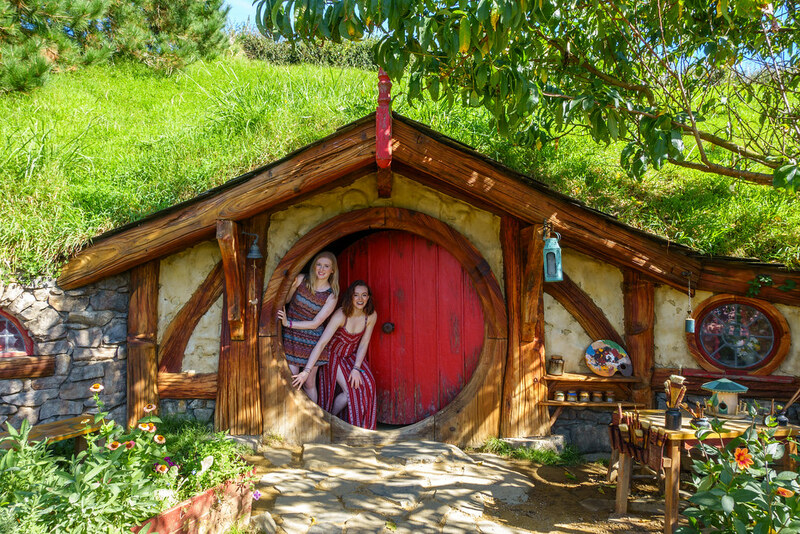 Our guide offered to take photos of people in front of a couple of hobbit holes, but the tour moved too quickly to be able to take many. 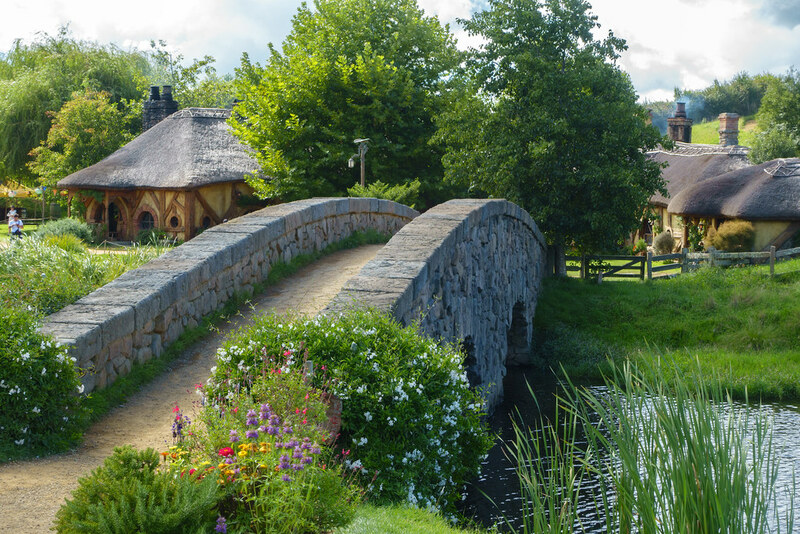 The tour ends at the Dragon Inn, where every guest is entitled to a free cider, beer, or ginger beer. 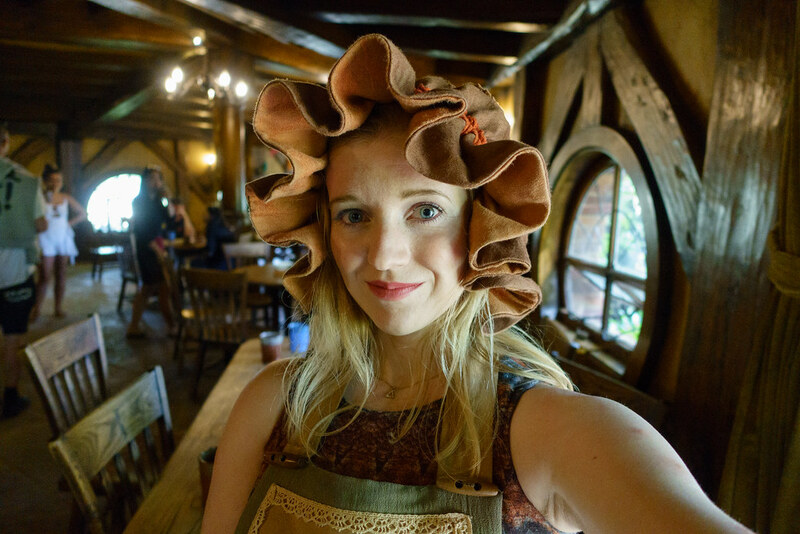 I only drank half of mine, choosing instead to prioritise dressing up in the ‘hobbit clothes’ hanging in the corner of the pub. 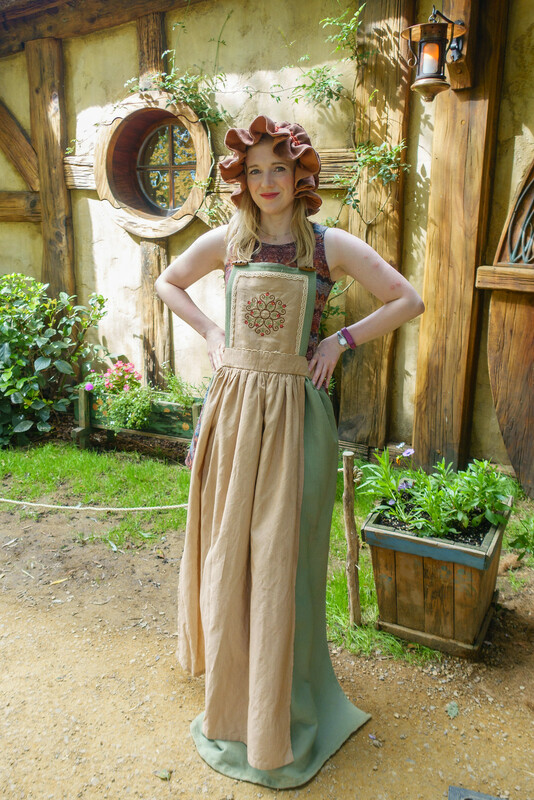 On my first look there was only a waistcoat left, but later I managed to snag an apron and bonnet! It was all over too soon, and after a brief look around the giftshop we were whisked back to Rotorua. Back in town we had lunch at Artisan Cafe in central Rotorua. 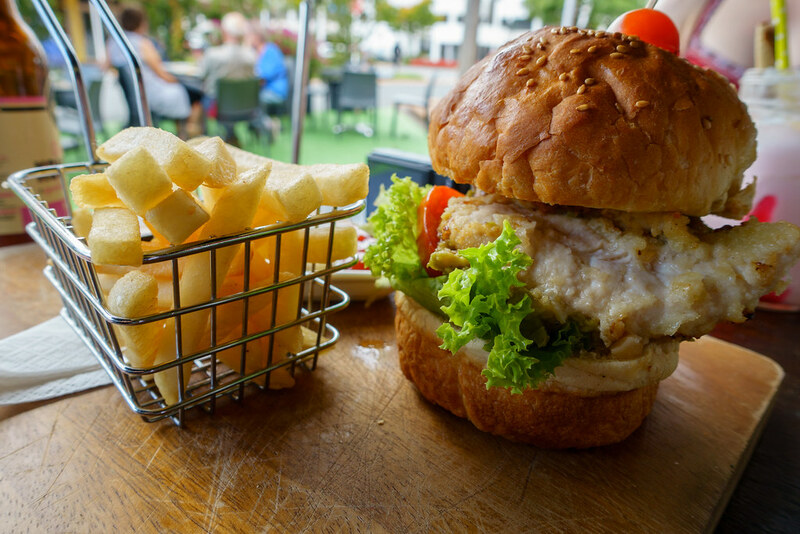 We sat at one of the sunny tables outside, and both ordered the chicken burger. It was fine, but far too unwieldy to eat with our hands! 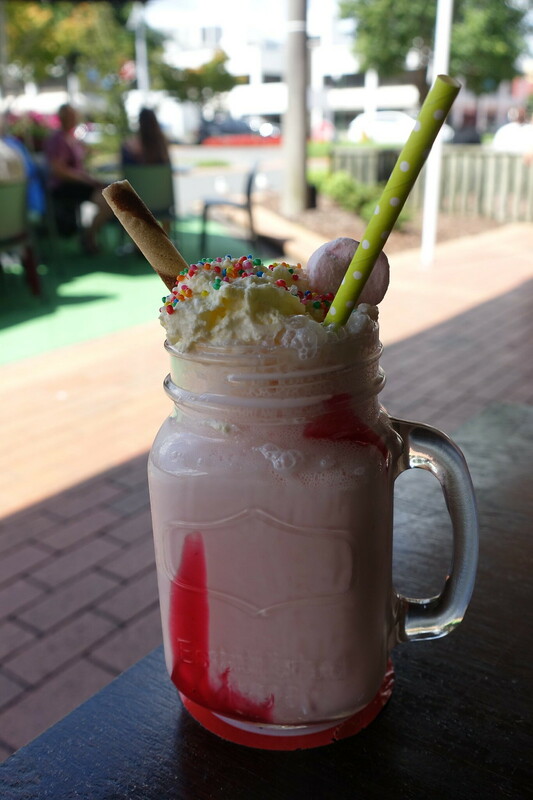 As it was Tama’s birthday I treated her to lunch, which included a giant ‘birthday princess’ milkshake. 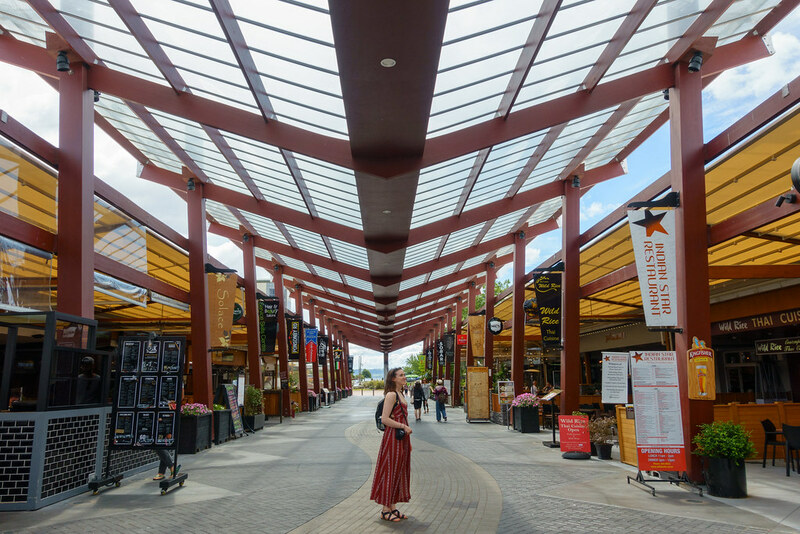 After lunch we walked to the lakefront, attracted by the sculpted avenue of shops and restaurants built before it. 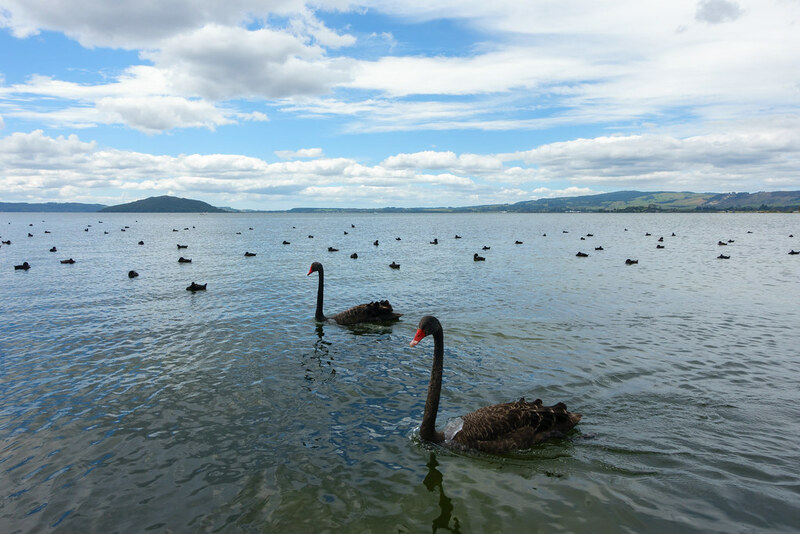 We found the lakefront itself quite an anticlimax, but I liked seeing its population of elegant black swans. We returned to the motel to relax a while before our 17.20 pick up by the Tamaki Evening Experience bus. 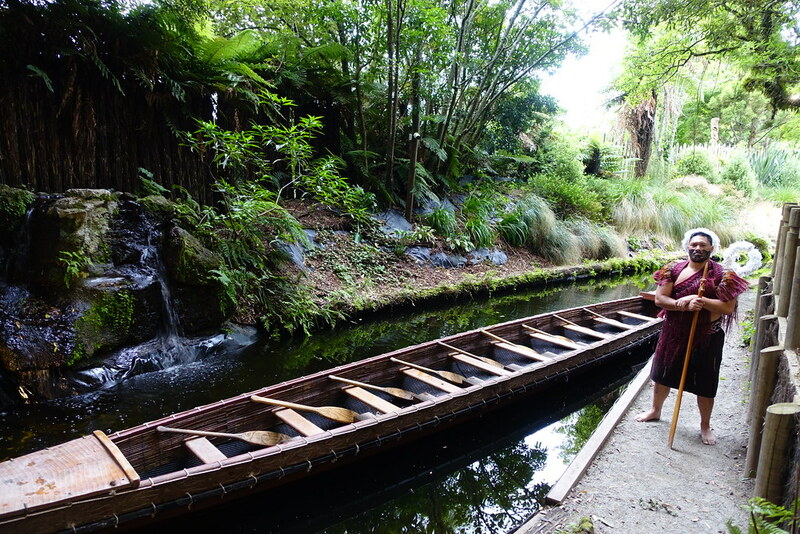 This took us to the company’s Rotorua office to pick up more people, before continuing to the Tamaki Maori village. Once again, we had a really funny bus driver! On the way to the village, he made us pick a man on the bus to act as chief of our ‘tribe’. Fortunately for everyone else, a young woman from the Philippines nominated her boyfriend and, being young and tall, he fit the bill perfectly. 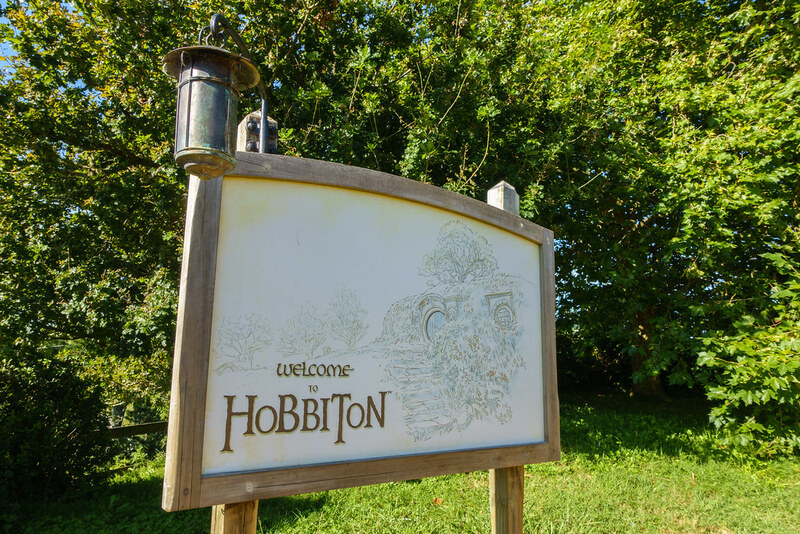 There was a solemn welcoming ceremony to the village that we were strictly instructed not to laugh or even smile at (which was difficult, because it was so entertaining!). 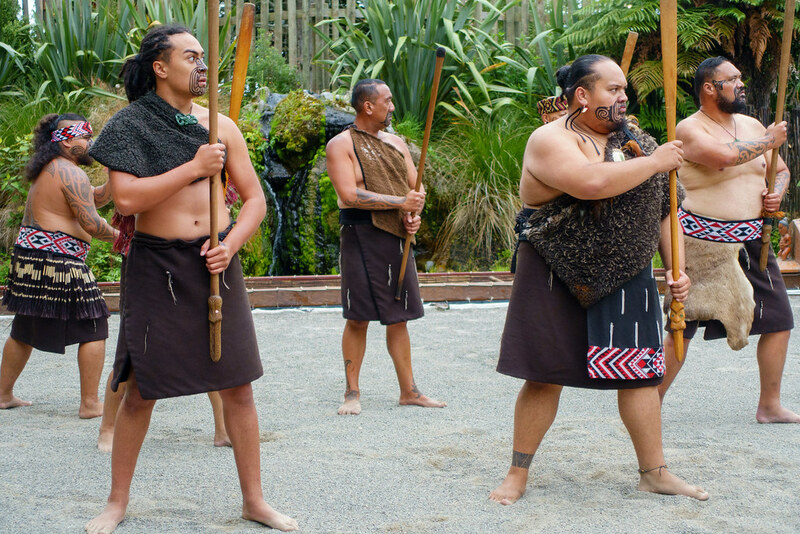 We were told to stand in our tribes (bus groups) in a semicircle as we watched the Maori warriors come out to greet us. There was a lot of intimidatory dancing, face-pulling and singing, before their chief ritualistically greeted each of our chiefs. 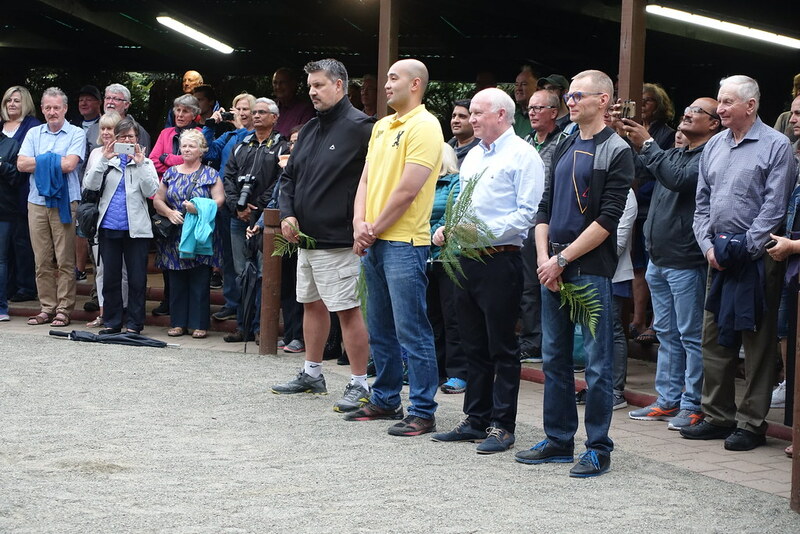 He laid down fern leaves as welcome gifts for each of our chiefs to pick up in turn, followed by the traditional double nose bump. 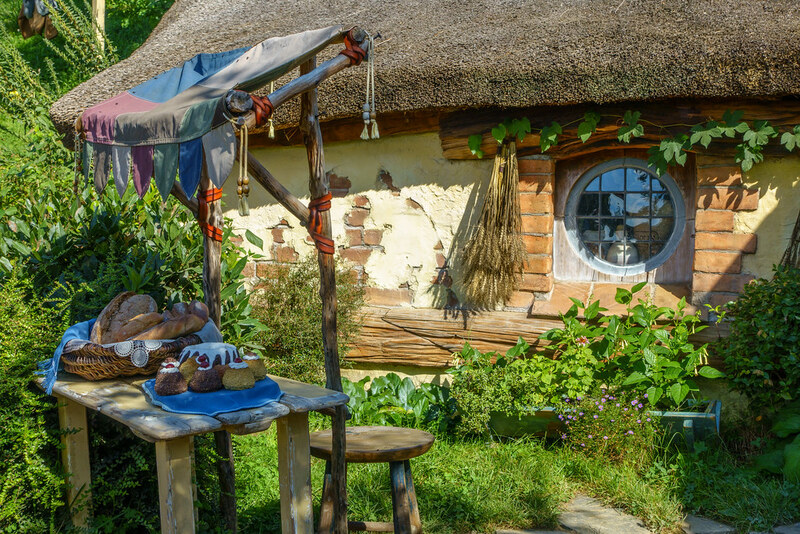 Only after this were we accepted and let into the village. 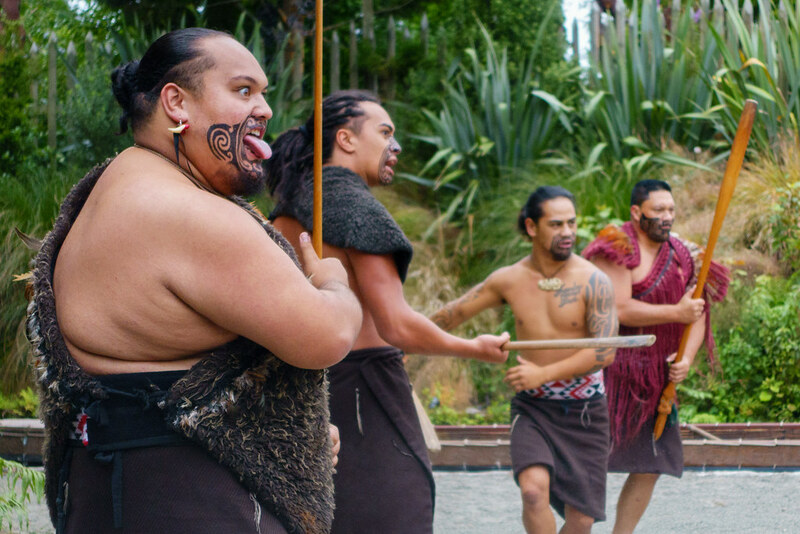 Inside the village, the tribes moved separately between a number of activity stations, where we learnt about poi, the haka, arts and crafts, body markings and games. 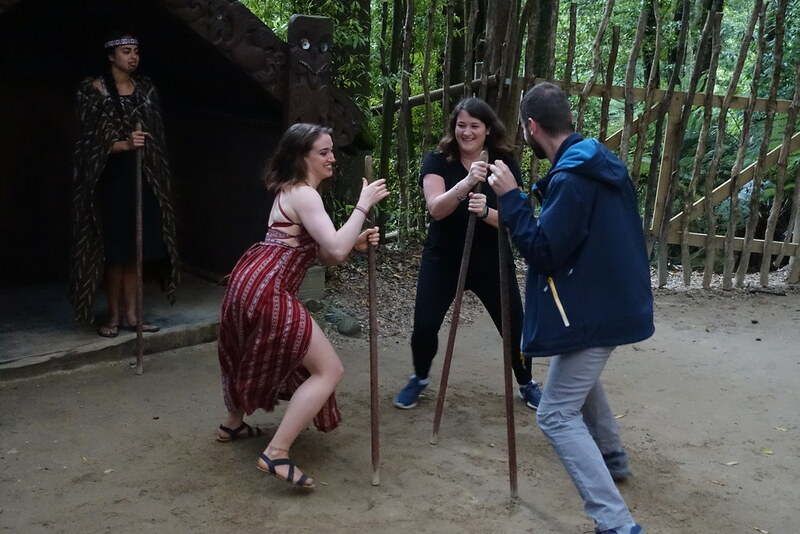 There was a lot of participation: three women were chosen to perform the poi song and dance; all the men had to (try) to do the haka; and Tama and a few others were chosen to play a stick game! 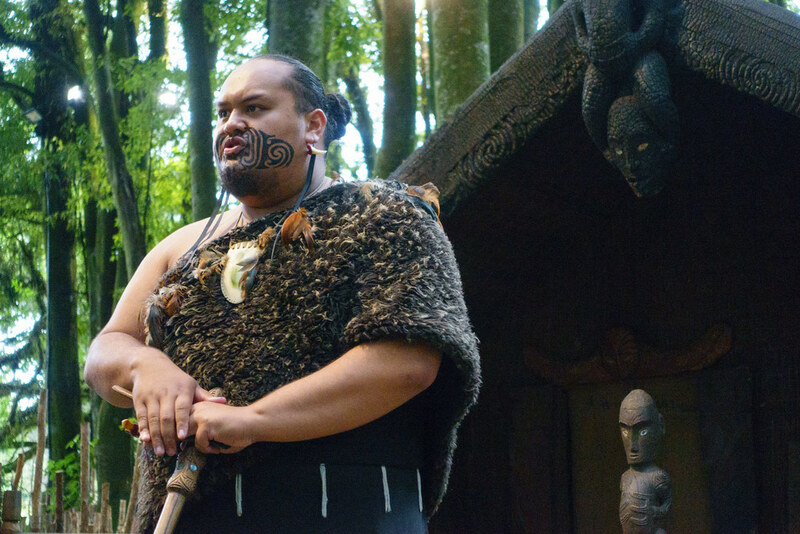 I thought the most interesting part was learning about the maori body markings, which uses to be made through scarification (ouch!) before later becoming less-painful tattoos. 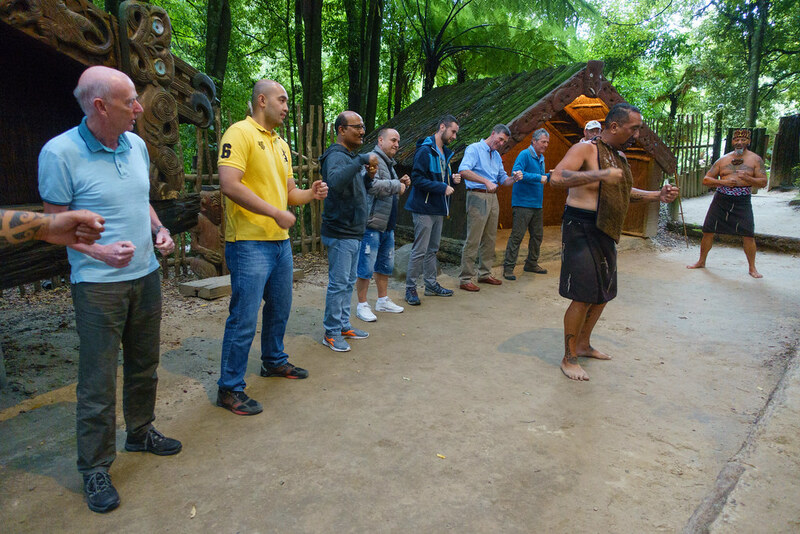 After the activities, the tribes assembled together to watch as the food we’d be eating for dinner was lifted out of the ground, where it had been buried and cooked in the natural geothermal heat. 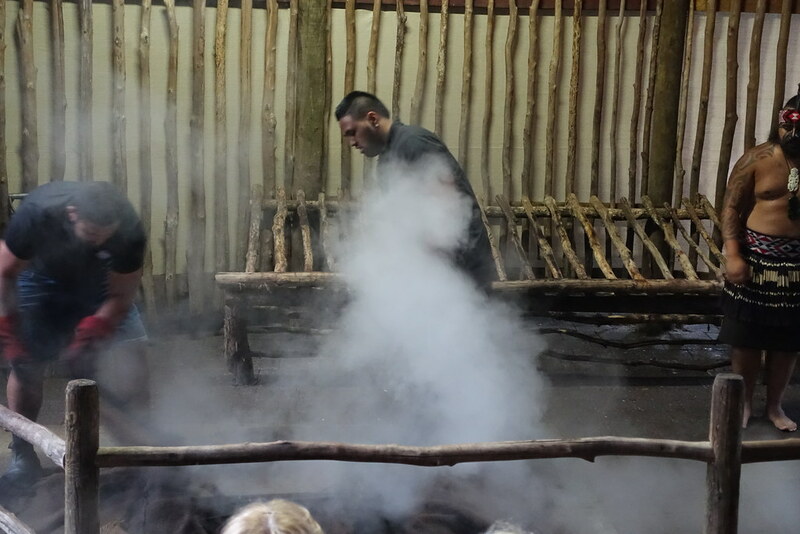 This is the traditional ‘hangi’ method of cooking. 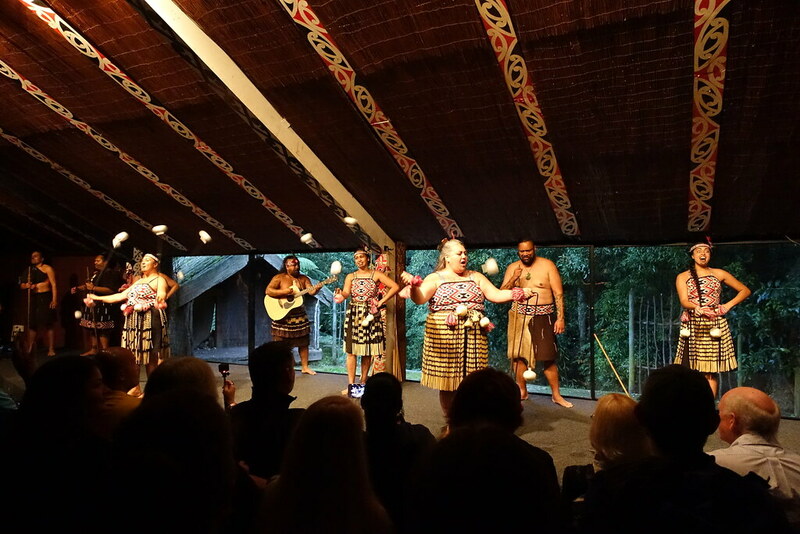 While the kitchen staff took and prepared the food, we were kept entertained by a traditional Maori songs and dances. I thought the performances were really impressive, and it was probably the most enjoyable cultural performance I’ve ever watched. 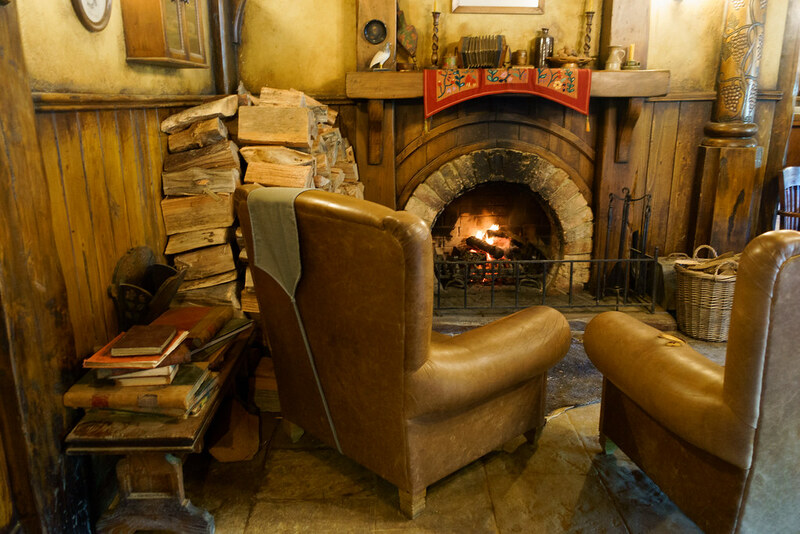 Afterwards we were led into the dining room, where we sat in our tribes. The central buffet table was lain with fish, chicken, beef, sweet potatoes, carrots and other root vegetables, plus salad and sauces. 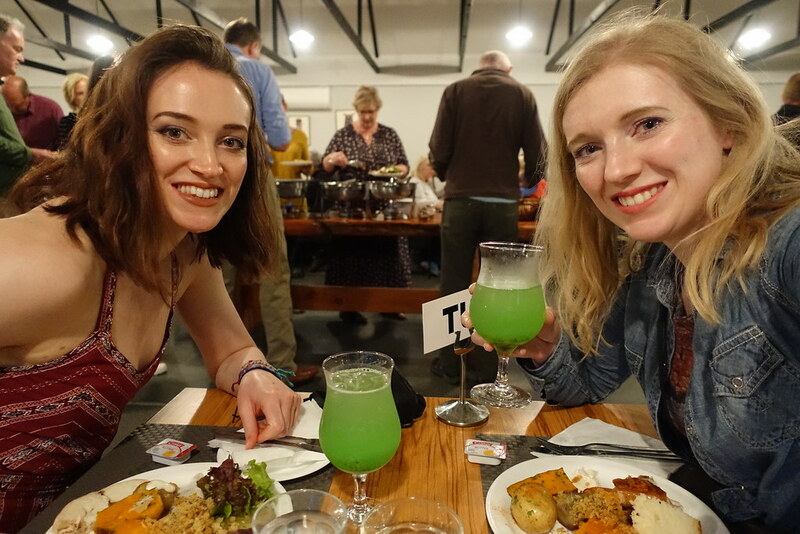 There was also a cash bar, from which we bought two glasses of tropical punch. The dessert table held pavlova and steamed pudding (like a less sickly sticky toffee pudding) with custard, and there was also a hot drinks table from which I got a traditional Maori herbal tea. At the end of the night we were driven right back to our motel, feeling happy, tired, and incredibly full! 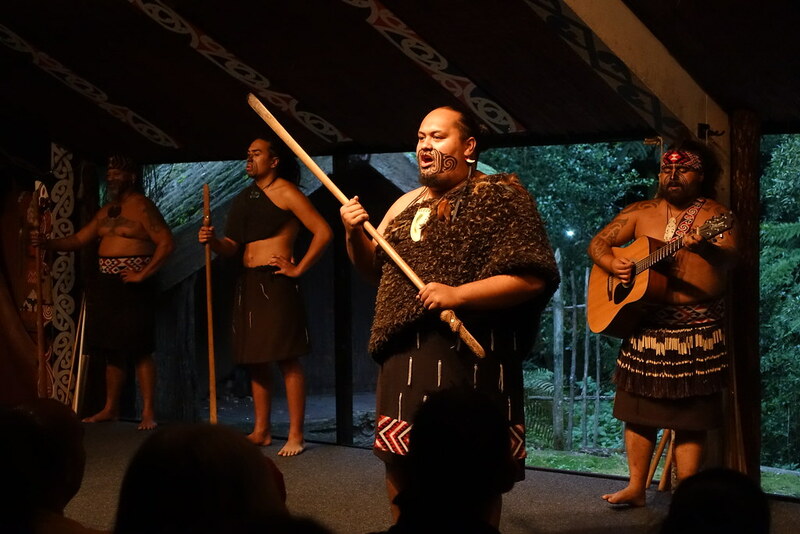 Our final day in Rotorua would be spent touring its main geothermal parks: Wai-o-tapu and Waimangu. Subscribe to this blog or Like and Follow Roam with Juliet on Facebook to be alerted when upcoming posts go live. All text and photos (c) Juliet Langton, 2018. All rights reserved. 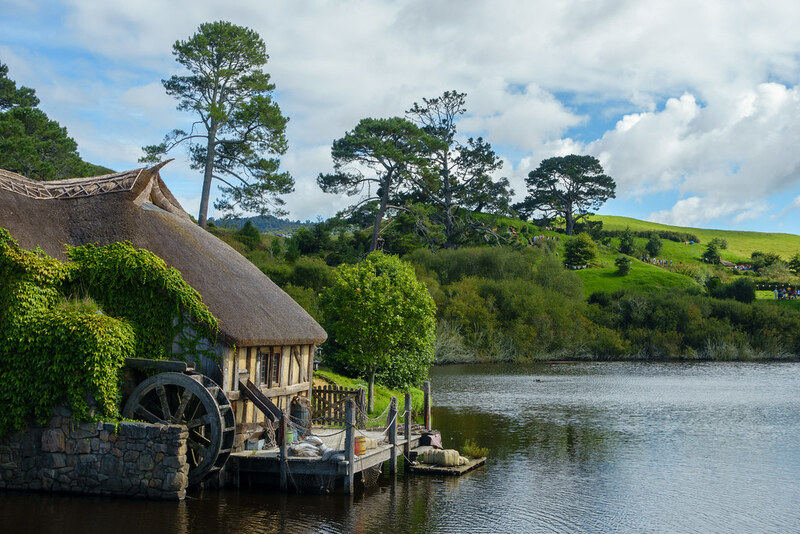 Posted in New Zealand, Photography, Reviews, TravelTagged Hobbiton, Rotorua, Tamaki Evening ExperienceBookmark the permalink. Thank you! We were so lucky with the weather, and yes the colours seemed unreal in real life too!